Trekking is one of the sports or activities of adventure tourism that is most simple to practice and, therefore, one of the most spread out. This consists of walks of varying levels of difficulty through landscapes of great natural beauty, important history or archeology or simply, a good terrain for walking. Part of the incredible net of more than 23 thousand kilometers of paths constructed by the ancient Incas, the road to Macchu Picchu in Cusco., are a total of 36 kilometers that, as part of a very pleasant tourism package, may last up to 4 days. 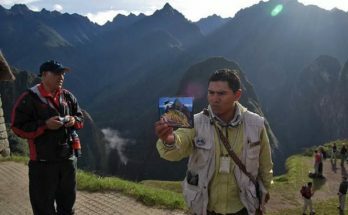 There are many places to camp, archeological vestiges and lots of contact with and observation of local flora and fauna, all of this in a great climate for a trip that ends in the Inca citadel of Macchu Picchu, named as one of the wonders of the modern world. 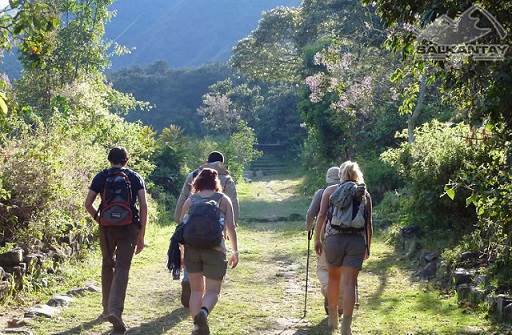 Another insuperable destination for trekking in Cusco is Camino Inca. Incredible landscapes, paths full of natural beauty for trips that may last more than a day and that are best enjoyed during the season between April and November. Lima, the capital of Peru, is not left behind and offers us different alternatives to make sure that our stay is full of adventure. A perfect place to practice this sport is Palakala, located at 2,600 m.s.n.m (miles above sea level) and at 5 km of San Jeronimo de Surco, located at km 67 of the Carretera Central. The road towards the spectacular waterfall is difficult but reassuring and the fall of the water is from a height of 20 meters. It is important to mention that it possesses a warm climate, so after doing the walk, the ideal would be to submerge oneself in its waters. A destination where the main attraction is the highest mountains in Peru, is the Callejón de Huaylas. 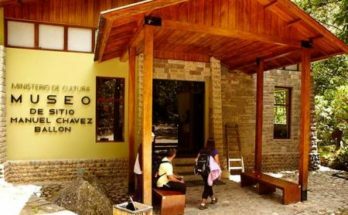 Lovely natural monuments like the precious lagoon of Llanganuco and long walks like the one of the ex snow-capped Pastoruri. The Huascaran National Park is a destination that will give you invaluable experiences in the highest zones of the country. At 180 kilometers of the city of Arequipa, the Colca Valley is a valley formed at the end of the Collaguas River. In its vast extension one can find the famous Colca Canyon, more than double the depth of the Grand Canyon at Colorado in the United States. In this valley, one can find many perfect destinations for trekking, as well as, many alternatives for boarding and camping. The tours that are offered in the same city of Arequipa are very economical. 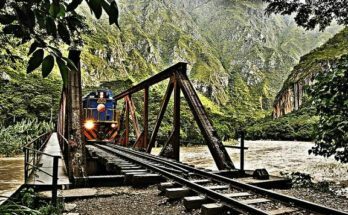 Other points that are worthy of visiting are the Manu reserve, this jungle paradise offers us a series of landscapes perfect for this activity: the Huayhuash Mountain Range (to the south of the Blanca Mountain Range) and the Vilcabamba Mountain Range, in the Jungle of Cuzco. Places that offer us a wide variety of natural locations that will not disappoint you. Say yes to this adventure which will more than unforgettable!